This stylus changes the way you use your touchscreen device thanks to its textured, durable, high performance tip with improved accuracy and an ultra-responsive feel that is now 75% smoother. 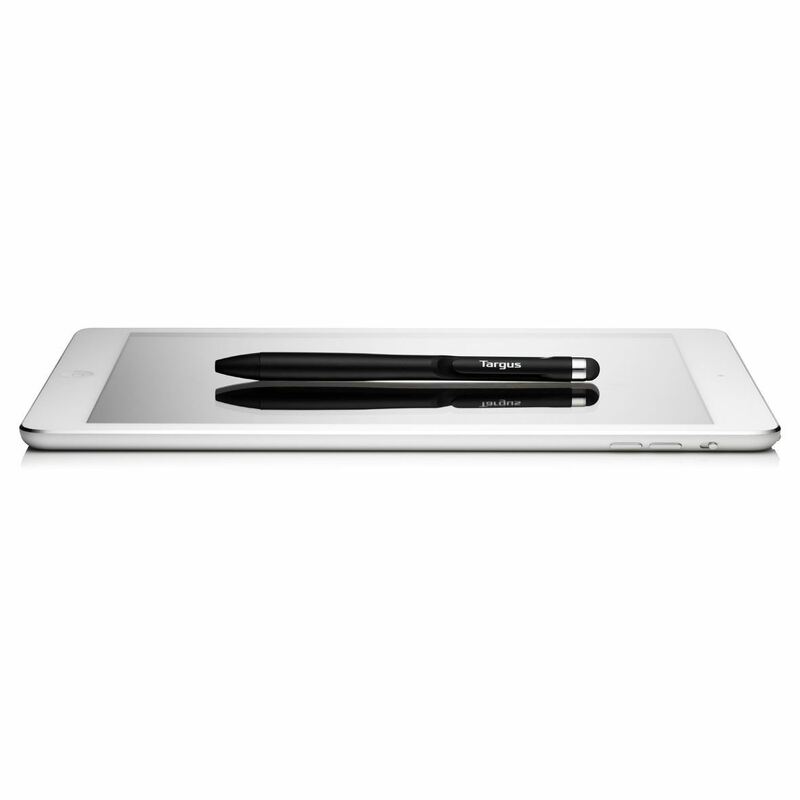 With a 2-in-one design simply flip the stylus around to take notes on paper with the smooth ball point pen. With a clever twist pen design, there is no cap to lose. The new high performance tip glides across your screen on micro-pockets of air, resulting in improved accuracy and excellent sensitivity when using your applications. 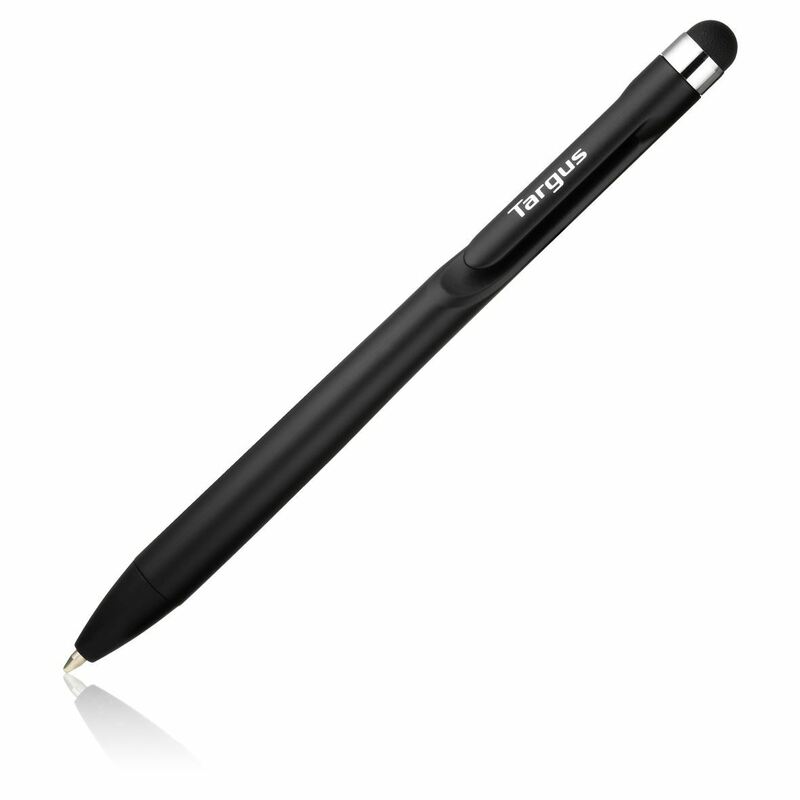 Targus Stylus & Pen is compatible with all capacitive touch screen tablets and smartphones including Apple and Android. 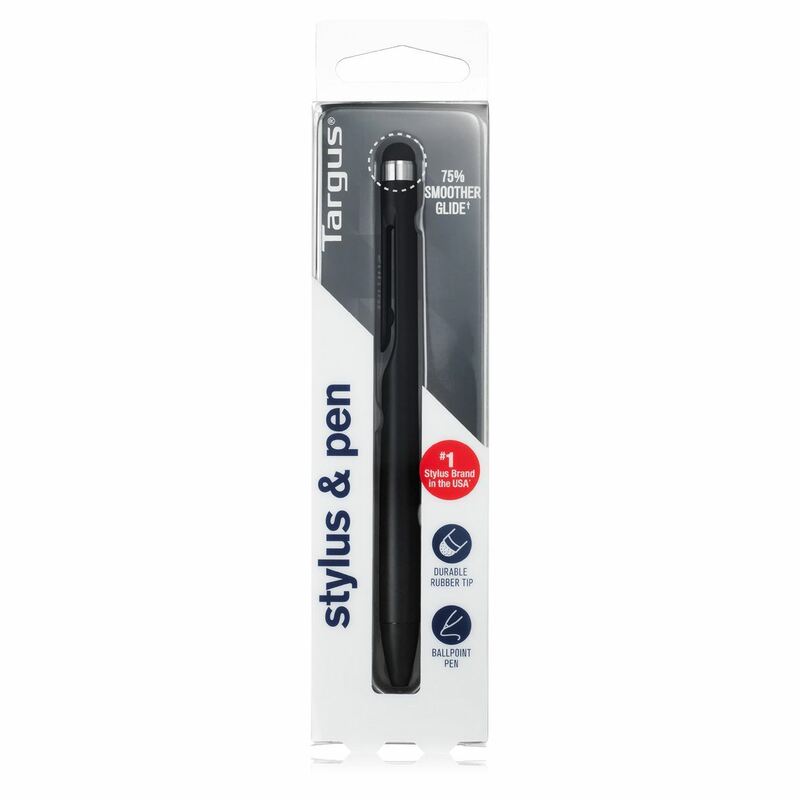 The incredibly slim and well balanced stylus & pen has a seamlessly designed integrated pocket clip that is both sleek and functional; the Targus Stylus & Pen can go wherever you go, ready to be the extension of your hand and your creative partner as you sketch, write, and create on your device with greater freedom. Unlock greater functionality with your tablet or smartphone as you create hand-written notes, have greater freedom to draw, find improve accuracy when you edit photos, and easily sketch your ideas as you use the all new Targus Stylus & Pen in your own way. Improves your experience with applications for sketching, note taking, photo editing, etc.